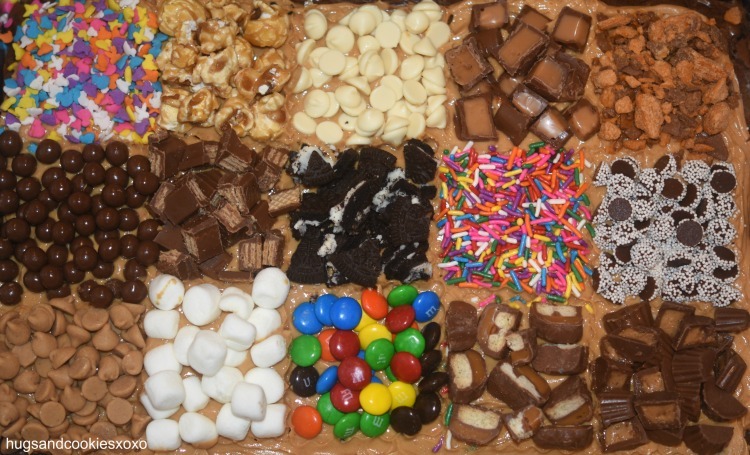 Talk about FUN brownies!! 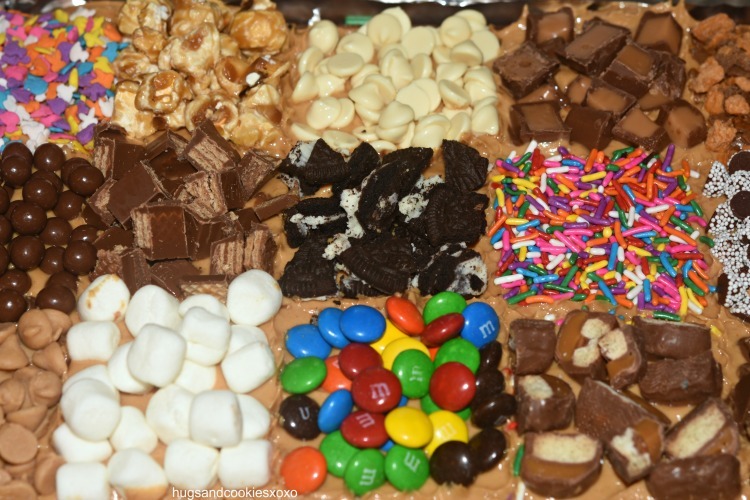 These Peanut Butter Candy Brownies were a blast to make and my son loved rummaging through the cabinet to choose all of these different toppings! Be creative and use what we have! 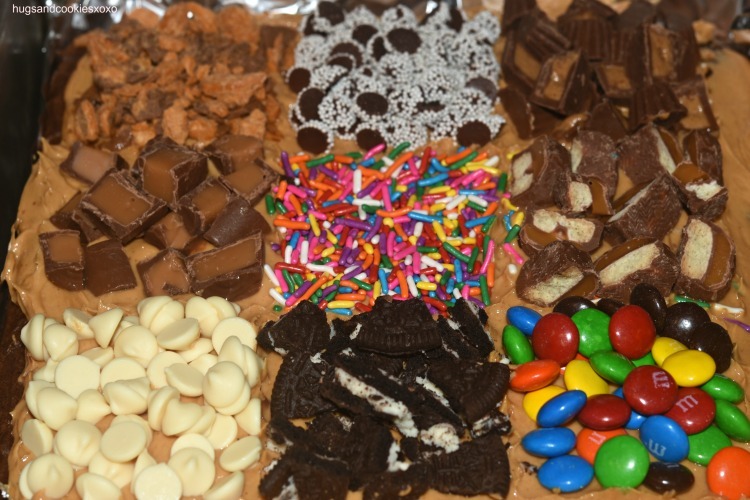 Our favorites were the caramel corn, chopped kit kats and colorful sprinkles! 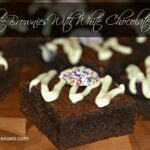 The frosting on these brownies is just ridiculous! Consider yourself warned! 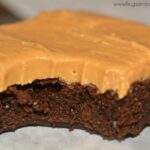 I used 2 brownie mixes for this-Betty Crocker-and baked them together in a 9×13 pan. 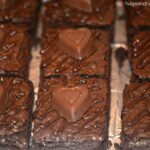 You can certainly use your favorite homemade brownie recipe, too! Beat peanut butter and butter. Add powdered sugar and vanilla extract. 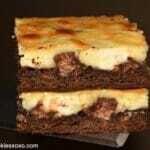 Beat well and spread over brownies. To neatly add the toppings I laid a square cookie cutter gently on the brownie and filled in the toppings. Then, move the cutter to the next spot and repeat!